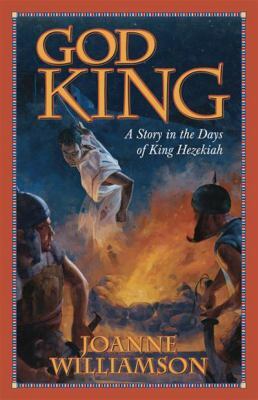 A never-before published tale by the author of the best-selling Hittite Warrior, carries the reader back to Ancient Egypt and biblical Jerusalem. It is 701 B.C--rule of the Kushite dynasty in ancient Egypt. Young Prince Taharka, a very minor royal son, succeeds unexpectedly to the throne of Kush and Egypt--a "divine" rulership. It's not long, however, before a treacherous plot pushes him into sudden exile and into the hands of Amos, an emissary of King Hezekiah seeking help against the Assyrians. Posing as a medical assistant, Taharka journeys with Amos to Judea where he encounters two kings in conflict. His true identity suddenly uncovered, he must choose with whom he will fight--the mighty Assyrian, Sennacherib, promising alliance or Hezekiah, the Jew who trusts in Yahweh. A novel inspired by research on the historical King Taharka and his period.